Our next Word In Your Ear, which is on November 11th at The Islington, is a first. 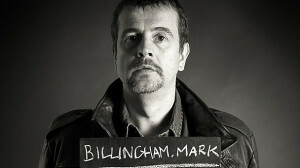 “The Other Half” is a special collaboration between country duo My Darling Clementine and best-selling crime author Mark Billingham. It’s approximately one hour long, features Billingham reading his story and My Darling Clementine, performing as a duo, punctuating the narrative with those songs that inspired it. After the interval MDC will be playing some of the favourite songs of Mark Billingham’s hero Tom Thorne, barroom classics such as “Your Cheating Heart”, “Tonight The Bottle Let Me Down” and “The Beast In Me”. It promises to be the honkiest-tonkiest evening of your life. Book now to be sure of your seat.